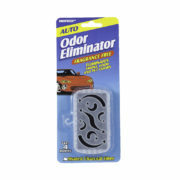 How do I eliminate freezer odor? Whether your ice cream is starting to taste like fish or your ice adds unwanted flavor to your drinks, Innofresh can help you eliminate unwanted freezer odor. It all began when you served soft drinks to your kids. You bought a large bottle of soda pop, filled non-breakable plastic cups with ice and poured each one a serving. They complained that the pop was flat because it tasted funny. So you threw it out. Then at dinner those drinking ice tea took one sip and just let the glass sit. You figured they didn’t like the way you brewed your tea. Finally you had a small party where you served mixed drinks. You weren’t into anything fancy but you could handle vodka and orange juice and scotch on the rocks. Your guests took one sip and let their drinks sit. When you were asked for bottled water you picked up on a trend. Was there something wrong with the ice coming from your freezer? No one wanted to hurt your feelings, but your ice had picked up a foul taste because of the odors that had permeated your freezer. Even frozen fish can go bad! 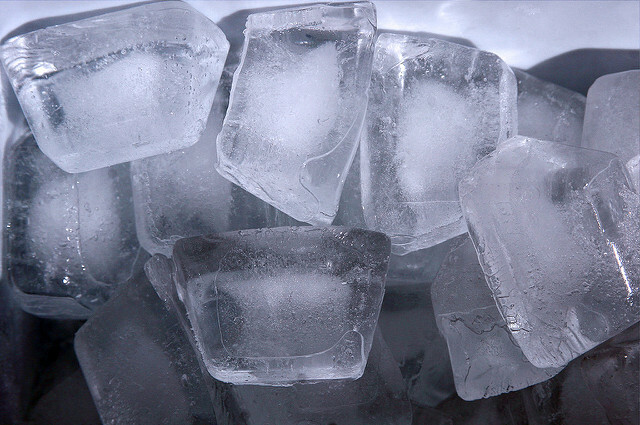 It doesn’t matter if you have an ice maker with a filter system or fill plastic ice trays. If the ice sits for a short time, it will begin to have a bad taste. 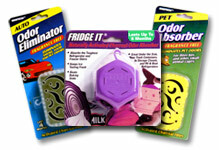 In fact, the freezer is one of the home’s easiest to overlook sources of household smells. There is an easy way to get your ice tasti ng like it came from a fresh Arctic glacier. To begin, empty your ice bin and wash it out. If you use plastic ice trays, wash them as well. Real Simple magazine offers advice from energizing your life, ultimate guides, gifts, clothing advise and home solutions. 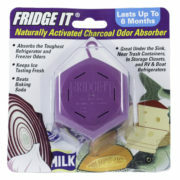 In an earlier article, they featured FRIDGE IT activated charcoal odor absorbers from Innofresh as a “secret weapon and top pick” for getting the job done. 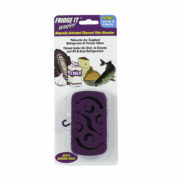 “Fridge IT cube fights tough freezer odor (and keeps ice from tasting funky) for up to six months”. 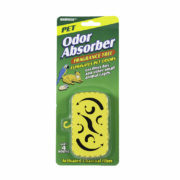 the millions of microscopic odor absorbing pockets. FRIDGE IT is powerful and extremely effective because of the microscopic holes and pores inside and on the surface that make activated carbon one of the most porous materials known. 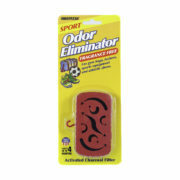 Just one gram of activated carbon has the surface area of about 500 square meters, the size of two tennis courts. The amazing property of FRIDGE IT activated carbon is its ability to absorb enormous amounts of gas particles (odors) relative to its size resulting in clean fresh air in your freezer. Place a new one in your freezer and your family and friends will not turn down any offers for soda, ice tea or adult refreshments. While you are at it, don’t forget about your smelly refrigerator and other household uses.